Hi friends! Wow, how time flies! I can't believe it's august already? I chose to simply stitch in the ditch again for this quilt, (I'm too scared to try free motion just yet!). For the back I managed to use a pink gingham bed sheet, which works out well for me because I never seem to have enough fabric for backing! It's beautiful! I love the yellow binding. It's just the right accent. such a beautiful quilt, jesse! i really LOVE it!! This turned out beautiful! I love your pictures too. Amazing Jessie! I like a lot the double binding, it's very different and gorgeous! Stunningly beautiful as usual! 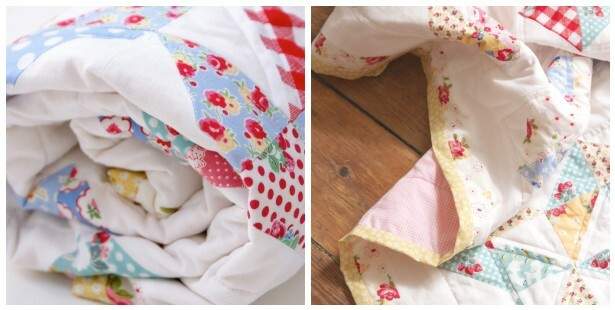 You must have the biggest stash of gorgeous fabrics as you seem to use so many nice ones. Love the pink gingham backing and well done on using a bedsheet, I like to try and do that too it I can. The cost of backing in 'proper' fabric kind of scares me! 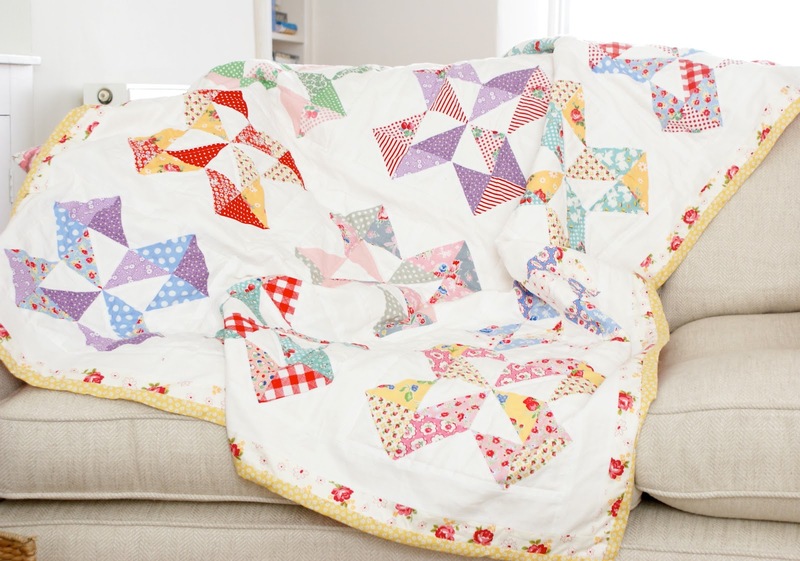 Hello Jessie Your dutch pinwheel quilt is absolutely gorgeous, I love it! So glad you visited me, thank you for your sweet comment, and so pleased to find your delightful blog! It's gorgeous, and I totally empathise with you how you feel about free motion stitching–it's scary stuff! Love the quilt! 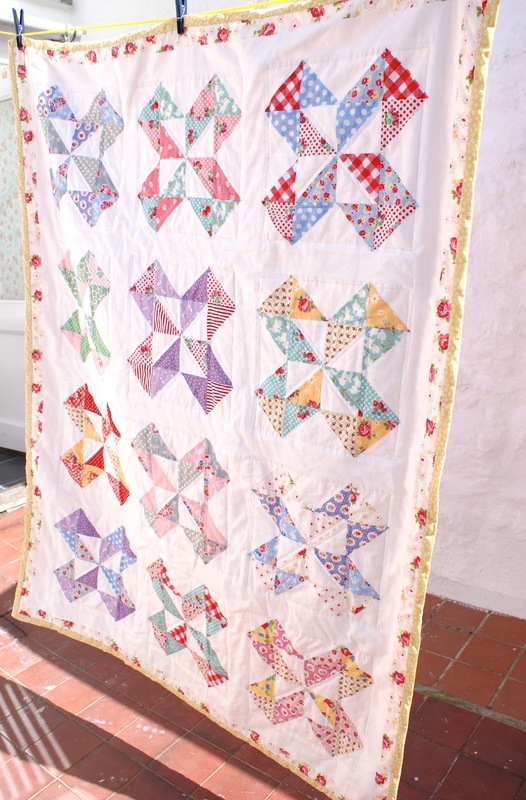 I am looking for a great block to make a baby quilt. can you tell me what size these blocks are and the size of your half square triangles? Which method do you like for your half square triangles? Thanks for all the ideas and inspiration!